The monster El Nino in the Pacific is inflicting a severe drought on Papua New Guinea and elsewhere in the Pacific and beyond. It’s affecting about 2.5 million people in Papua New Guinea alone. Forecasters worry that the weather could be as severe this year as in 1997-98, when 23,000 people died. 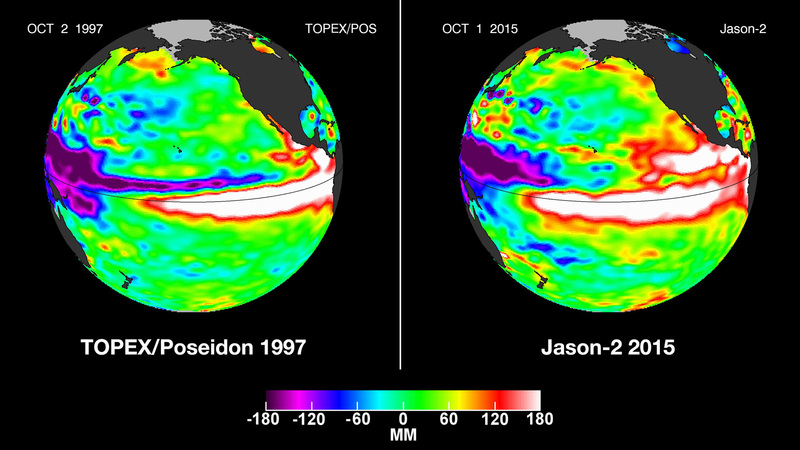 The El Nino weather pattern makes the water of the Pacific ocean warm up. This causes global temperature changes and affects rainfall. It always creates extreme weather for tropical areas, but this year the effects are predicted to be devastating. El Nino could leave more than four million people across the pacific without enough food or clean water. In Papua New Guinea, there have been many reports of deaths, especially of children, due to food and water shortages although precise figures are not yet available. As rivers have dried up, the food gardens many ordinary villagers depend on for sustenance are rapidly dying. Traditional water sources are drying up, and there’s increasing contamination of those that remain. It’s not just our newest partnership that’s affected. In Peru, El Nino causes major flooding whenever the event is strong or extreme. One of the most common expressions you’ll hear people saying is that “the river escaped from its mother”. According to Peru’s national El Niño research agency (Enfen), there is a high chance that this year’s phenomenon will be bigger than the last. And everywhere where there is rainforest, droughts caused by El Nino mean rainforest burns much more easily. The last time El Niño was this intense, in 1997, five million hectares of rainforest went up in smoke in Indonesia. The forest fires generated gigatonnes of carbon dioxide, equivalent to 13-40% of the world’s fossil fuel emissions at the time. This year could be just as bad. At least 42% of the areas of Indonesian forests that have burnt down are in areas of palm oil and pulpwood plantations. These plantations have used up the water sources in the area and created huge areas of peatland, reducing the land’s natural capacity to act as a fire break, resulting in the fires spreading to rainforest that would never normally be at risk. Papua New Guinea’s is still 75% intact forest. As land is cleared for Palm oil plantations across Papua New Guinea, the risk of fire will increase as it has done in neighbouring Indonesia. The good news is that there is something that will lessen the devastation that El Nino causes in the future. It’s rainforest. Healthy forests protect our climate and moderate extreme weather events like El Nino. Deforestation is partly to blame for the worsening impact of these events. This means Cool Earth has a short term and a long term aim. Short term, we will keep communicating with Meisi and our partner communities so we’re able to respond as quickly as we can if the situation worsens. Long term, we’ll grow the forest shield as more villages join our partnerships. Forest that will play a big part in protecting the climate in the future. With your support we can grow the forest shield and protect communities - and the world - from extreme climate events.